By Kyle Scott Clauss·	 1/27/2016, 9:54 a.m.
Library spokesperson Melina Schuler says the combined efforts of the BPL’s work crews and City Hall’s Graffiti Busters helped removed all the graffiti around 10 a.m. without any issues. “We’re thrilled that the McKim can be restored to its beautiful self,” Schuler says. 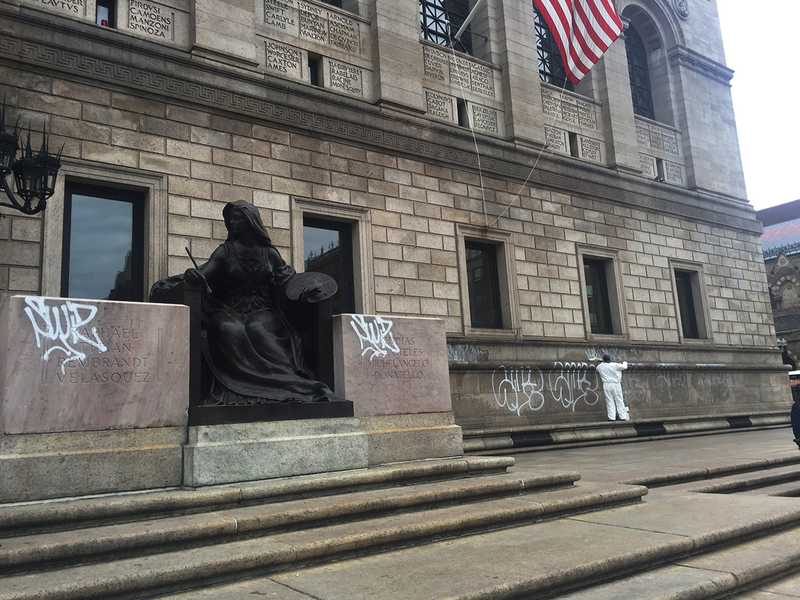 The Boston Public Library’s main branch in Copley Square was vandalized early Wednesday morning. Crews are working to remove the mostly white spray-paint graffiti from the facade of the historic McKim Building on Dartmouth Street, which first opened in 1895. The sight had one employee in tears, while the library’s foreman painter said he’d never seen anything like it in 26 years on the job, WBZ reports. 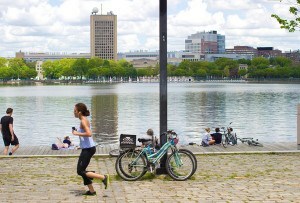 Police say they responded to a report of vandalism in progress in Copley Square around midnight. The suspect is a black male in black hoodie and red hat, carrying a backpack, Boston police spokesperson Rachel McGuire told the Globe.